A Hungarian mother-of-two was stabbed to death with a pair of scissors before her partner critically wounded himself in the chest yesterday. The mother, only identified by neighbours as 38-year-old Yvette, was found dead in her flat with more than 40 wounds to her neck on Ephesus Street, St Paul’s Bay, by police at 11.30am. A man, reportedly her Hungarian partner and father of her five-year-old daughter, was also found in the flat, having turned the scissors on himself, sources said. Neighbours said the two had been arguing loudly all morning and described hearing angry yells and the sounds of smashed crockery. The fracas died down at around 11.25am. Minutes later, an ambulance and police car were on the scene. A Hungarian family friend who also lived in the apartment reportedly witnessed the crime, along with the two girls, aged 17 and five. It is not known who called the emergency services. Forensic experts spent almost two hours at the crime scene gathering evidence. Magistrate Edwina Grima was also on site. She has ordered an inquiry into the crime but the police did not release the woman’s name. Investigators spoke to the Dutch owner of a bar next door to the victim’s apartment, as well as with a man in his early 30s, who locals said lives next door to the couple. Both were whisked away in a squad car to give their formal statements. The two distraught children and their family friend were the next to depart, exiting the St Paul’s Court apartment block before they too were driven off by the police. According to neighbours, they did not live the most idyllic of lives. One woman said the household was a rowdy one, with arguments regularly disturbing the peace. “The two of them were constantly arguing, especially after they had been drinking. Sometimes they’d both start shouting at the friend who lived with them, but usually the fighting was between themselves,” she said. They had moved into the apartment last May, having previously lived in Qawra. “Things were quiet at first,” one man who lives across the road said, “but after a month or so the arguments kicked off”. But although neighbours often found themselves forced to listen in on their domestic disagreements, the couple otherwise kept themselves to themselves. The owner of a nearby grocery store said the man would occasionally pop in to buy the odd beer, but rarely said a word. “He wouldn’t speak to you unless you spoke to him first,” he said. They sometimes would buy the odd pizza from the takeaway on their street corner but did little to draw attention to themselves. One neighbour claimed that the couple had been ordered to leave the apartment by their landlord on Monday. While Yvette and her friend occasionally worked as cleaners, the man was reportedly unemployed. “Yvette told me that they planned on leaving Malta and moving to the UK at around Christmastime, to look for work there,” one neighbour told The Times. An autopsy has been ordered to determine the woman’s precise cause of death. The man was recieving treatment at Mater Dei Hospital. March 2003. A man was charged with the attempted murder of a police sergeant during a shooting incident in Qawra. December 2004. A Bulgarian man stabbed a Maltese woman in a St Paul’s Bay apartment on Christmas Day. He was charged with attempted murder. November 2005. A 56-year-old man was charged with stabbing his wife in the face in St Paul’s Bay. October 2008. A man was charged with attempted murder of another man at a disco in Qawra by stabbing him in the back. April 2009. A 20-year-old man, Nicola Romano, was found dead in his father’s clay furnace in Buġibba with six nails in his head. The family’s dog had been killed eight months before in an act of vindictiveness. November 2009. A Ukrainian woman was found dead in a lift shaft in an apartment block in St Paul’s Bay. Her Ukrainian husband was charged with the murder. October 2010. A Libyan man was charged with attempted murder for trying to run over another Libyan while he was standing on a pavement in St Paul’s Bay. July 2010. A 16-year-old Russian boy was charged with the attempted murder of an 18-year-old Maltese man and 15-year-old Maltese boy after he stabbed them in the chest and groin in Buġibba. February 2011. A 28-year-old Russian woman was found asphyxiated in her Xemxija flat. Her mother was arrested. June 2011. 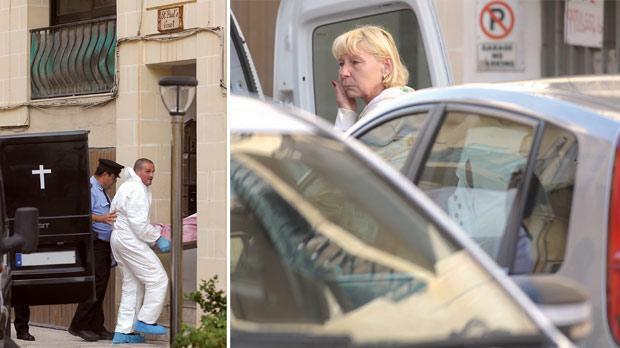 A Bulgarian woman was found murdered in her Buġibba apartment – the main suspect was her Turkish boyfriend, who fled to Turkey. May 2012. A Libyan man was charged with stabbing another man during a fight that broke out in Qawra.